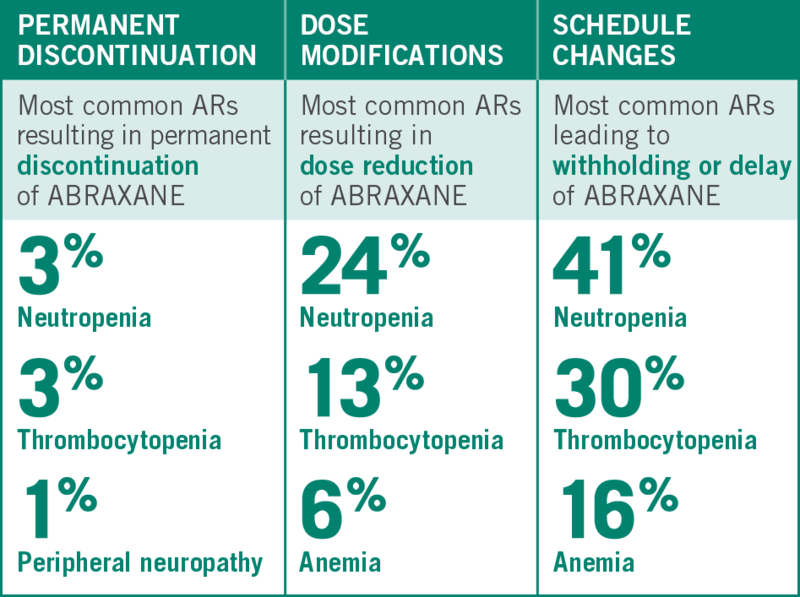 Severe hypersensitivity reactions with fatal outcome have been reported with ABRAXANE. Note: An albumin form of paclitaxel may substantially affect a drug’s functional properties relative to those of drug in solution. DO NOT SUBSTITUTE FOR OR WITH OTHER PACLITAXEL FORMULATIONS. 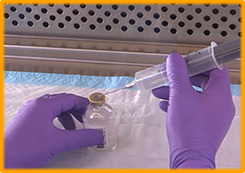 Patients in the study were treated until disease progression or development of unacceptable toxicity. 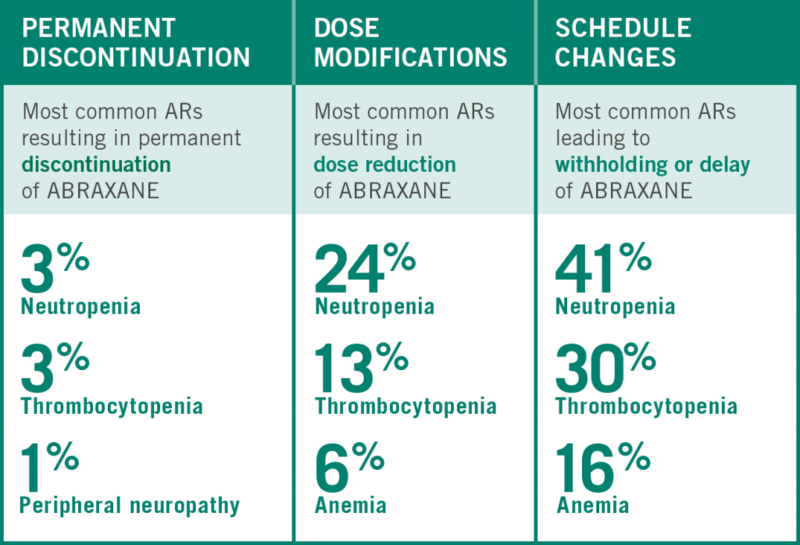 aA dose increase to 100 mg/m2 in subsequent courses should be considered if the patient tolerates the reduced dose for 2 cycles. *Maximum of 7 days post-scheduled Day 1 dose of next cycle.